Life in the canyon, past and present, has been dependent on the nature of the canyon itself. Pioneers faced countless hardships; attempting to locate reliable water and to provide an income that could sustain their families, they lived in continual uncertainty, and in isolation. Many diaries and letters from those who endured these conditions still survive. These accounts offer insight into the day-to-day life of a pioneer at the Grand Canyon. It is important to understand how people interacted with the land before Grand Canyon became a national park and restrictions were placed upon it. The Homestead Act allowed homesteading claims, but under a more interrogatory and restrictive process than required for mining claims. This led many to stake mining claims simply as placeholders for areas they desired in the canyon. Actual mines did exist — rich, if not easily accessible, deposits of copper, lead, silver, etc. lay in the rock — but were eventually abandoned as tourism became the main source of profit. 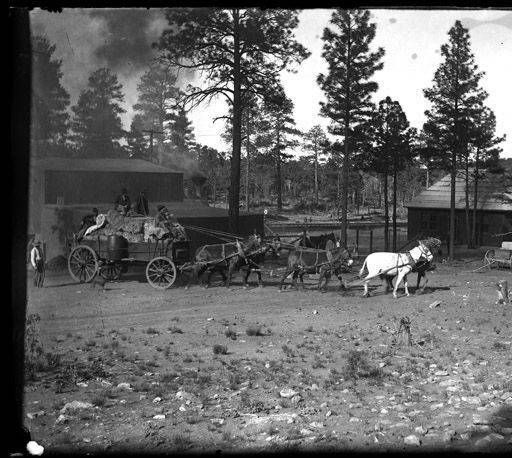 The forested areas surrounding the rims of the canyon were thick with timber, and lumber businesses began to appear in surrounding areas like Flagstaff and Williams. Ranching was fairly lucrative as well, as there was a vast amount of open range. As ranches grew in size, they began to migrate towards the canyon, encroaching on the rim. 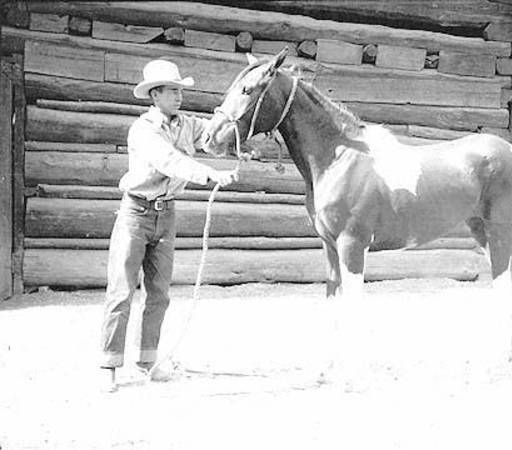 Livestock were eventually banned from land that came under the national park designation, although domestic mules are still allowed in the canyon, since they remain one of the main forms of transportation. After the Grand Canyon became a national park, almost all of the pioneer claims were given up or bought up as restrictions were put upon the land, and no new claims were issued. For those who still held land, claims were checked regularly for authenticity and were heavily regulated by park officials. Living in Grand Canyon National Park became increasingly difficult as park regulations developed to balance access, preservation, and use. Today, all enterprises within the park boundaries are managed by concessionaires, including Xanterra Parks and Resorts, the successor to the Fred Harvey Company. Pioneer families have slowly left and now the majority of those who actually live in the canyon are employees working to satisfy the needs of the ever-increasing tourist clientele. 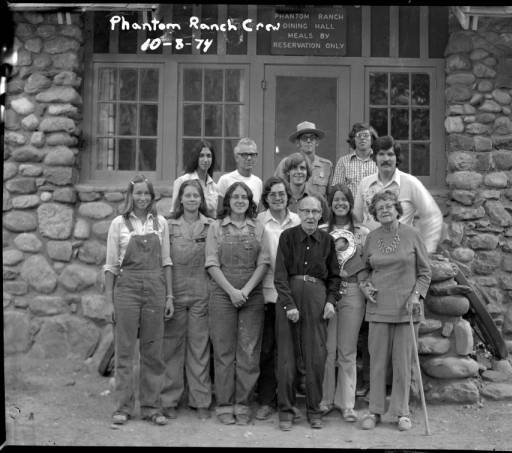 Emery Kolb with Phantom Ranch Crew, Grand Canyon, October 8, 1974.